A growing number of people these days are aware of the need to use a VPN when going online. But if they are honest, most still don’t want to spend a lot of money on a VPN. Fortunately, these days you don’t have to. All the premium VPNs are available at a very reasonable price, especially if you don’t mind signing up for an extended period. 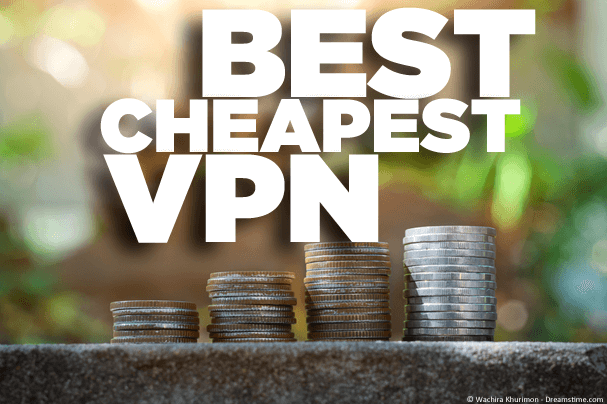 But, of course, some VPNs are cheaper than others and the range of packages available can make it tricky to identify the cheapest VPN around. But don’t worry. In this article, we have done the hard work for you. We have researched and tested all the best VPNs to find the cheapest available this year. Why not use a free VPN? You may want to find the most affordable VPN on the market, but you shouldn’t sign up for a substandard VPN simply because it charges less. That would defeat the object of using a VPN in the first place. Low fees – Look at the rates of packages available and work out the monthly cost. Almost all VPNs offer significant discounts if you sign up for longer, so if you are happy to commit for multiple years, it makes sense to do so. Money Back Guarantee – You want to be sure your VPN is the right one for you before splashing the cash, so an extended money-back guarantee offers plenty of time to try before you buy. Simultaneous connections – Many VPNs allow users to connect several devices at the same time. This can be a great way to get value for money and also ensure all your devices and even those of your family will be protected. Availability of apps – Be sure that the VPN you are signing up for offers dedicated apps for all the devices you want to use it on. No log policy – Some cheap VPNs make money by selling user data. Ensure your VPN has a dependable no user logs policy to keep your data private and secure. If you’re looking for the cheapest VPN service, then the following five are our recommendations. They’re not only low priced but they’re also some of the better services available. CyberGhost VPN is a VPN which has been created with the user in mind and this philosophy even extends to their pricing. They offer some terrific deals but the best value for money right now is their 3-year package which is available for a total price of just $79 (£60). That equates to a mere $2.20 (~£1.70) a month. For that, you will get access to their beautifully designed and user-friendly apps which are available for most devices. These are ideal for beginners or those who are not confident using a VPN independently yet. They also have a 45-day day guarantee, which gives you a month and a half to decide if they are the right provider for you. They may well be given their strong encryption, dependable privacy policies and decent speeds. Their server network to is a good size and when you add everything together, their 3-year package offers fantastic value for money. NordVPN is an established and well-known VPN with a terrific all-round reputation. This comes down in no small part to the fact they have managed to continue to improve their service while keeping prices low. At the moment, you can sign up to NordVPN for three years for just $82.40 (£63.50) or only $2.29 (~£1.75) a month. That is a low price by any standards, but especially if you consider the all-round service NordVPN offers. There is also a 30-day money-back guarantee available too. Their encryption is on a par with the very best and they also offer a great range of additional security features. NordVPN can unblock any streaming service and also works in hostile environments like Communist China. They have a big server network, fast connection speeds thanks to their recent investment in new servers, and as they are based in Panama it means their privacy policies, including a no user logs guarantee, are set in stone. 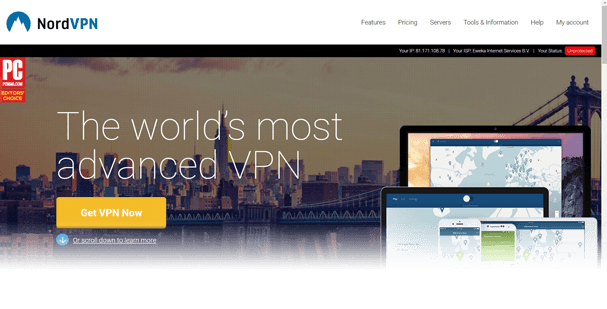 NordVPN has long been one of our top recommended VPNs and for these prices, they are without a doubt one of the best value-for-money VPNs on the market. PrivateInternetAccess currently have a 2-year subscription deal which offers terrific value. You can get full access to their service for two years for a total price of $69.95 (£54). That equates to $2.91 (~£2.25) a month. That’s less than a beer in most countries. They also offer a 7-day money-back guarantee. This isn’t the longest available but should give you long enough to get a feel for their service. They also offer a reliable no user-logs guarantee, anonymous payment through Bitcoin and anonymous gift cards, and concurrent connections for up to five devices. Their server network covers 33 countries and their encryption is robust and on a par with many more expensive providers too. Their connections speeds are not the fastest around, but they are still more than sufficient for most users. For the price, there is no getting away from the fact that PrivateInternetAccess offer excellent value for money. VPN.ac is one of our top recommended VPN providers, so it is perhaps something of a surprise that they feature as high up this list as they do. But the fact is that VPN.ac offer an extremely affordable deal. Their 2-year subscription costs just $90 (£69) which works out at only $3.75 (~£2.90) a month. For that, you will get one of the fastest VPNs we have ever tested with speeds on servers around the world that beat all the more expensive providers. VPN.ac also offers powerful encryption. They deploy a 4096-bit RSA key for handshaking as standard and provide specific modes for use in China and also for anyone who wants stronger online security than usual. Add in a vast range of apps, a decent server network, and up to six concurrent connections, and there is no question VPN.ac offers one of the best value-for-money VPN deals on the market. TunnelBear is a fairly young VPN which is already making waves in the VPN market by doing a lot of things right. One thing they are getting very right is their pricing structure. Their one year deal costs just $59.99 (£46) or $5 (~£3.85) a month. There is, unfortunately, no money-back guarantee, but they do offer a data-restricted free package which lets you try them out before you sign up. Their all-round service is pretty decent too. A bit more user data is retained than we would like, but their encryption is strong, their connection speeds are good, and they allow every subscriber to connect up to five devices at any one time. They also offer a good range of apps which are both well designed and easy to use. Tunnelbear has a great deal of potential, but a lot going for it already and the prices they charge represent a good value deal. Many people looking for a cheap VPN will quickly come across the myriad of free VPN providers on the market and think they have struck gold. After all, why spend money on a service if it is also available for free? The truth is that you don’t get anything for free these days. VPNs cost money to operate and if a provider doesn’t charge a fee, it must be making money in other ways. This is often by collecting and selling user data, which completely goes against why most people use VPNs in the first place. Others will pump ads into both your VPN client and your browser, which most users hate. Unfortunately, some free VPNs are even riskier. Some will infect your devices with malware; others have close links with the Communist regime in China and who knows what they will do with your data. If a VPN is free, it will not provide the same level of service as a premium provider. And as you have seen in this article, these premium providers are now so cheap, it is a no brainer. It is entirely possible to find a high-quality premium VPN service for rock-bottom prices. In this article, we have picked out our five cheapest VPN deals. All of them offer a terrific all-round service for less, with CyberGhost VPN our pick of the bunch at the moment. We have also offered some advice on what to look for when seeking out a cheap VPN and explained why opting for a free VPN is completely counter-productive. A good VPN doesn’t come for free, but it can come at an amazingly low price. In this article, we have shared the best deals around. Ready to get a VPN? Try the Cheapest VPN service provider.